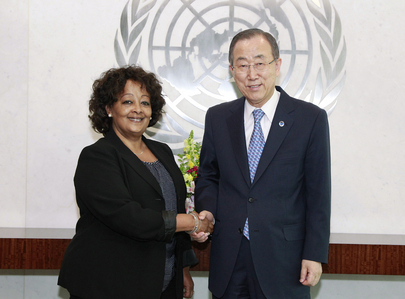 Ms. Hiroute Guebre Sellassie was appointed as Special Envoy of the United Nations Secretary-General for the Sahel and Head of Office on 1 May 2014. She recently served as the Director of the Political Affairs Division and Head of the Goma Regional Office in the United Nations Organization Stabilization Mission in the Democratic Republic of the Congo (MONUSCO) from 2007 to 2014. Before joining the United Nations, Ms. Guebre Sellassie worked with Oxfam and the African Women Committee on Peace and Development. As a law graduate of the University of the Sorbonne in Paris and with many years as a practicing lawyer, she has also served in different capacities in the Ethiopian Government. As Special Envoy of the United Nations Secretary General for the Sahel, Ms. Guebre Sellassie brings to the position extensive experience that combines strategic and managerial leadership, operational planning and policy formulation in the area of peace and security in Africa.